"Wake up, wake up, Mark! Today is the day we have been waiting for! We are going to the picnic over by the marsh to see all the Georgia state symbols!" Join Maggie and Mark, two brown thrashers, as they tour local scenery on their way to meet their friends. Today's a special day-they're going to learn all about the plants, animals, and more that represent the state of Georgia! Along the way they learn fun facts about Georgia wildlife and history. 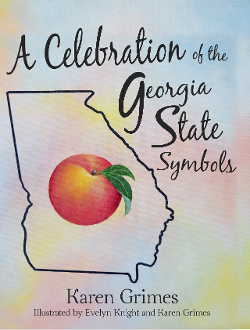 Do you know your Georgia state symbols?